Known for a rich heritage and culture West Bengal has a history of being pioneer of Muslin, Jamdani, Taant and kaantha stitches. The finesse of Bengal textiles has always been admired worldwide. There is a rich tradition of weaving handloom cotton textiles among the tribal and semi-tribal people in the districts of West Dinajpur, Jalpaiguri, Maldah, and Cooch Behar in North Bengal. Rajbanshis weave saris with very attractive designs. Other than weaving of cotton, the Arthashastra has mentioned that silk weaving in Bengal has existed from the ancient times. The cultivation of mulberry silk and its weaving is carried out in the plains of West Bengal. The other districts where silk yarn is made are Murshidabad, Birbhum, Bankura, Maldha and Purulia districts. The district of Maldah on the north bank of the Ganga is the most important centre for silk rearing in West Bengal today. Although textile has always been a heritage to cherish for West Bengal, the focus of emerging as the new textile hub has recently been thickened. West Bengal has gone through some revolutionary changes regarding textile industry with time. Started from local as well as migrant entrepreneurs manufacturing ladies petticoats, gent’s underwear, sari falls, gradually the industry in WB shifted to cotton gent’s kurtas and with time the manufacturers gained confidence to start making night suits, school uniforms, industrial uniforms and finally high end shirts and kurtas. There are over 500 small and medium units in and around West Bengal that manufactures garments to be sold in many states viz. Kolkata, Maharashtra, Andhra Pradesh, Chhattisgarh, Madhya Pradesh and Orissa. Having a collective turnover of over 500 crores, some of the units are even exporting there goods to other countries. Earlier this year, the Govt. of West Bengal declared to set up a modern apparel hub at Nungi, Maheshtala Municipality, and South24 paragana dist. The West Bengal Govt. has managed to shape the garment industry to accommodate more entrepreneurs and artisans over the years. Biswa Bangla, the textile and handicrafts company backed by the West Bengal Government is a great example of development in WB which has been performing extremely well in its home state and fetched a business of Rs 20 crore (approx US $ 3 million) in the financial year 2017-18 with 20 per cent of yearly growth. Though World Bank report says West Bengal comes under the category of Lower Middle Income group, WB lacks unionization in the industry. West Bengal has a sizeable garment industry generating annually about Rs 720 crore in wage income, even though most of the manufacturers of India are reportedly housed by the south. The surveys on wage income depict visibly that with a small registered and formal portion and a vast unregistered and submerged informal portion WB is already a hub of the country. The informal part does not necessarily cover only tiny, family based units, but also many manufacturers operating several machines which technically qualify for registration under the Factories Act. Outsourcing, fragmented manufacturing process, and a complex network of small units, with a single garment passing back and forth among them, characterize this industry. The state government wants to develop a modern, vibrant and competitive textile industry to enable the State becoming a strong hub in global textile supply chain. Here are some facts important in fulfilling the goal set. Substantial producer of chemicals, local dyes. Easy export facility due to presence of port and airport. Huge market, not only in India but different parts of the world. Paridhan – The Garment Park, Kolkata. Garment and Apparel Park, Barasat. 47 new Jute & Textiles units were set up with investment to the tune of Rs 173.04 crore in 2010. The State has traditional industrial base being the Birth place of hosiery industry in India. 1st hosiery factory established at Kidderpore more than a century ago. Mainly located in Kolkata, Howrah, and South 24 Parganas. Maintained its position as the hub of hosiery goods manufacturing & trade. Has 17900 hosiery units, employs around 1.1 lakh persons and produced 176 million Kg of hosiery cloth. Biggest Hosiery companies like Rupa & Company Limited, Euro Fashion Inner International Pvt. Ltd., Dollar Industries, Lux Hosiery Industries Pvt. Ltd. are based in West Bengal. Why West Bengal is suffering? As the market of West Bengal consist a large portion of unregistered and submerged informal businesses, the effect of GST has been jeopardizing the industry on a large scale. “SMEs are in jeopardy and now I come to know that even exports have been hit. I have asked (Arun) Jaitley ji to produce a white paper and call an emergency meeting. The matter has to be taken up at the GST Council. People are desperate,” Amit Mitra, Finance, Commerce & Industries Minister, WB said in a conference stating that the sate’s attempt to overcome the troubles that had arisen during the switch to GST and accordingly could not been fruitful due to the declination of the proposal of postponement and a white paper on GST preparedness by the central Govt. The implication of GST has changed the import duty rates in India making it complex and higher than before. This in turn is driving away the international brands towards Bangladesh as it has much simpler import-export decorum. Any global retail brand selling apparel now considers Bangladesh if they want to open second overseas sourcing office after China as they get experts and suppliers to run their operations. Although, in India GST has brought positive structural changes in the sector by increasing acquisition opportunities in the organised sector and turning the unorganised firms to organised activities, this also has caused many factories and organizations to pull down their shutters. The industry of WB is still suffering and many are under the bad business season for a long time now. The political environment of West Bengal is also accused for making it fall behind the competition. The enmity between ruling and opposition party and corruption makes it very difficult for the industrialists to grow. People tend to set up factories in different states and even in Bangladesh, making WB deprive of any real growth to become the big textile hub that it has the potential for. Like all the states in India, WB too is suffering from the competition with Bangladesh and being just adjoined with the country by geographical location and by culture, it somehow becomes more severe. Vijay Kariwala, Vice-President of the West Bengal Garment Manufacturers and Dealers Association (WBGMDA), commented earlier that duty-free entry of readymade garments from Bangladesh may have a “severe impact” on the Indian garment industry. He further added, “While the price of a readymade garment goes up by nearly 15 per cent after duties and State tax in West Bengal. So, a garment brought from Bangladesh is sold at a lesser price as no duty is imposed,” on the sidelines of 39th Garment Buyers and Sellers Meet, organised by WBGMDA which is the lead industry association providing service to benefit the garment and related units in West Bengal. While Bangladesh enjoys duty-free entry of readymade garments to India, the price of a readymade garment goes up by nearly 15 per cent after duties and State tax in West Bengal. Despite fighting hard with new strategies and technologies, WB is still losing the RMG in the hands of Bangladesh who since 2004 has shown a GDP growth of 6.5% on an average that has been largely driven by its exports of readymade garments. Can West Bengal Keep Up The Fight and Become The Next Big Hextile Hub? According to , Sanjay K Jain, Chairman of Confederation of Indian Textile Industry, West Bengal has the potential to lead the next big growth in the garment segment which is the largest industrial employer in the country and is the best bet for inclusive growth as women are employed in a big way by the garment industry. He believes that there is no reason why Bengal with support of the government cannot take the big leap forward. Although the hosiery industry which is the stronghold of WB seems to grow in a healthy way, the other sectors seem to lack the confidence to grow rapidly. Some even fear the situation to degrade over time. However it might take time but the people of Kolkata have a never-say-never attitude and are positive that someday it will find back its glory as the other part of Bengal. West Bengal Govt. in recent past has declared some strategies in focus of making it the next textile hub. As a designer I am seeing a lot of changes happening in Kolkata, whether in terms of expanding the scope of business or updated technology. Bangladesh is a huge competition for hosiery market but not ladies wear like suits. Garments manufactured in Bengal is more innovative and has higher quality also. I think if the government take some proactive steps and initiatives to improve the infrastructure and build good capacity and quality product factories here Kolkata can easily become the next big textile hub,” says Swati Bajoria, Designer, Kolkata. “I am majorly into exports and we export high end garments and sometimes the unstitched material to Europe also. I have clients like Armani and Dolce & Gabbana. 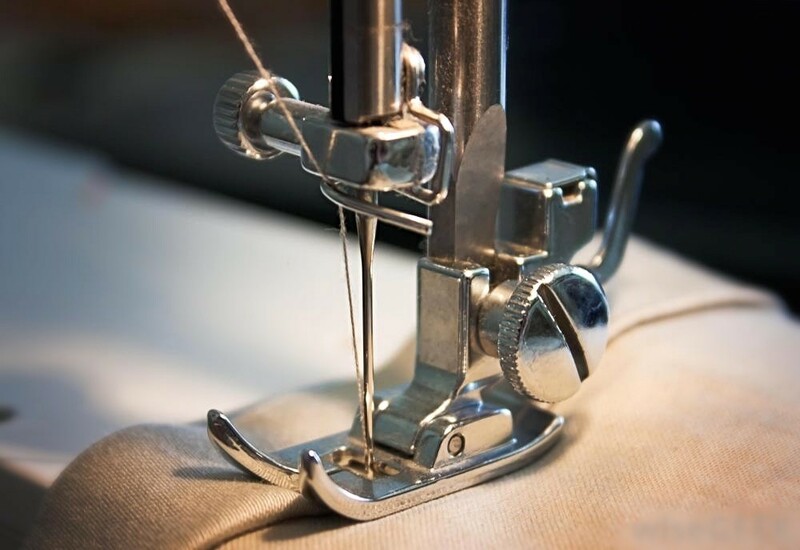 The products we make do not require much of technology or automation, however, design aspects and garment construction have become faster with the help of technologies. WB is known for its artisans, prints and hand embroideries. But now it is facing huge competition from China. The hand embroidery done here is now being replicated at a cheaper price and is seeing good demand also. Previously Bengaluru used to weave Dupion but now due to production and price competitiveness from China it has gone there. Govt. should make efforts to educate and support artisans, especially with focus on rural areas. The new generation is losing the art. It is difficult to say if WB will be able o fight back the global market pressure or not as there is lot to be worked on. I feel constant innovation and consistent designs can pave the path. Yes, Bangladesh is a threat and many of the WB exporters and manufacturers are setting up units in Bangladesh for better infrastructure and facilities. That in turn weakens the overall WB industry scenario so Govt. should look into it and ease the situation here, so that people can build the business in WB. Land is not available for business and if available it is overpriced. Workers are mostly from rural areas and to sustain they are ready to do overtime even if Govt. is prohibiting it,” avers Rajib Dudhoria, Silk Affair Private Limited, Behala, Kolkata. “We are into hosiery and as far as our sector is concerned, the business is going well. We have imported machines from Singapore, China for technology advancement l. The domestic market is changing and the situation is encouraging. We are catering to the Middle East market and hopefully we will grow in other countries as well. The overall growth is good. A new hosiery park will be coming up and will take around 2-3 years to be completed. Once it is done we are hoping for good development. As for Bangladesh issue, we are not bothered much. They have their own market and we have ours. In future we might think about dealing with them. India has more production and business capacity than Bangladesh so they are not any threat at all,” underlines Satinath Roy, Kothari Hosiery Factory Pvt. Ltd., Kolkata. “We manufacture fabrics and deal with domestic market. The new technology has increased the efficiency by almost 50%. We are producing 500 kg per day now as compared to 200-250 kgs earlier. Machines from China, Vietnam are imported for the same. There is Terrot now in every factory almost. The main obstacle for WB in becoming the next big textile hub is the political atmosphere here. People spend less energy to work and more into destruction. The sales are down because of the cheaper products from Bangladesh in the market. People are being fooled by attractive packaging of Bangladesh products and not get real quality. The products that are manufactured here have better quality. We cannot compete with the prices they are offering because the raw material, i.e. yarn is very expensive. I am sourcing the yarns from Ludhiana, Tirupur and some more places. The price of the cotton is going up. Our Govt. is least bothered to help the industry in reality. Projects are there, many announcements have been made but nothing has materialised yet,” says Arbind Kumar Pareek, Balaji Nit Fab, Kolkata. “We are exporting scarves, shawls majorly from Kolkata since last 33 years. Our manufacturing is based in Kolkata and some neighbouring areas, consisting handlooms, prints, hand embroidery, etc. As for technologies, the yarn dyeing process has changed a lot and has been modified as well. Digital printing has taken over. We use a lot of screen printing and that too has become computerised now. Kolkata is not getting enough customers as compared to Delhi, Jaipur due to the connectivity issue, availability of raw material, no exposure like international exhibitions. Very few are into exports and though the state govt. is trying for last 2 years to accomplish something, nothing has happened in reality yet. The major attention goes to the hosiery sector where all the big players exist but they are into domestic business generally. We are not expecting any positive change or help from Govt., and only good entrepreneurs and creative ideas are hope of improvement. Govt. is so reluctant that a project for printing hub in Rampur has been on papers since 20 years and is yet to be materialised. Unlike here, Bangladesh Govt. is run by the textile industry and that is why despite of whatever troubles they are facing, development is still steady. It’s better to set a factory in Jaipur than here or even better if out of India. There is no scope for any improvement in next 10 years for sure in current rate and scenario, mentions Sushil Kumar Chopra, Royal Touch Overseas Corporation, Topsia, Kolkata.